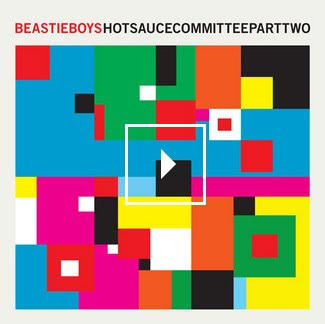 he Beastie Boys have made us wait 24 years, but to commemorate the launch of their 8th album Hot Sauce Committee Part Two, we finally get to see what happens after their 1986's (You Gotta) Fight For Your Right (To Party) from their seminal Licensed to Ill album. First refresh your memory by watching the original Fight For Your Right video. 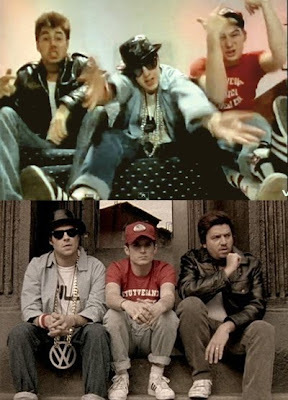 Then skip forward 24 years and watch the hilarious, nostalgia inducing 30 minute short film trip back in time with Fight For Your Right - Revisited directed by MCA Adam Yauch. Which features more film star cameos than you can shake a small stick at. In case you are wondering the Beastie Boys are the cops at the end. Hot Sauce Committee Part Two is going to be released on May 2, 2011. But if you can't wait - click the image below to listen to the entire album. In Hot Sauce Committee Part Two the Beastie Boy's new trip hop sound faces off against their old skool hip hop, well more of a merge than a clash. I'm unsure of which wins but either way Hot Sauce Committee Part Two is the Beastie Boys freshest sound that they have put out in awhile.